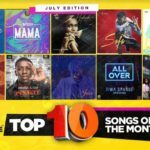 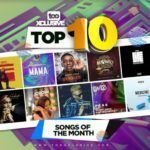 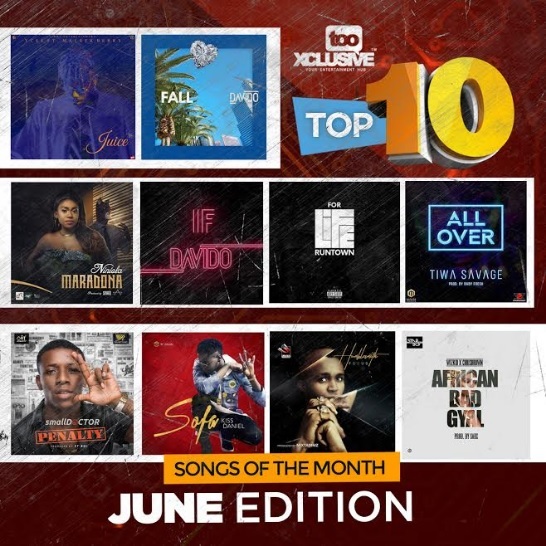 This is the June edition for the top 10 music countdown of trending songs with a commercial street buzz as well as a massive on-air reception. 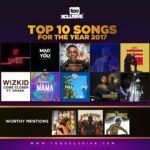 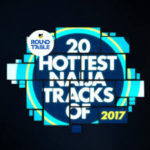 This list validates the persons of Ycee, Niniola, Davido, Tiwa Savage, Runtown, Small Doctor, Kiss Daniel, Humblesmith and Wizkid, who have staked their place in the Nigerian music scene of things as certified hit makers, of course not without technical assist from the revered producer likes of Sarz, Maleek Berry, Kiddominant, Tekno, Krizbeatz, Babyfresh Mavin, Killertunes, Mixtadimz and 2T Boyz. 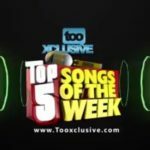 Watch the rundown as presented by TooXclusive TV‘s ariel hotness, Ms Catherine! 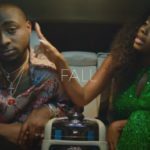 Davido’s “FALL” – The #1 Song In Nigeria Right Now?